I had high hopes walking around the outside of Minute Maid Park that the Rockies would be able to pull out a win Monday night. They were down 2-1 in the season series versus the Astros and I wanted to tie the series. I was pleasantly suprised walking towards the third base gates when from out of the distance I hear “Tom?” Normally it’s not unheard of me to think I hear Tom, but it’s usually someone saying mom and I ignore it. Today’s Tom was actually meant for me and I was lucky enough to meet the Rockies/Astros blogger Kylie. The Blake Street Blogger herself was decked out in a Holliday Rockies shirt and ready for the boys to win. After the game I realized I had not taken a picture with Kylie, so this is a must do at tonight’s game. 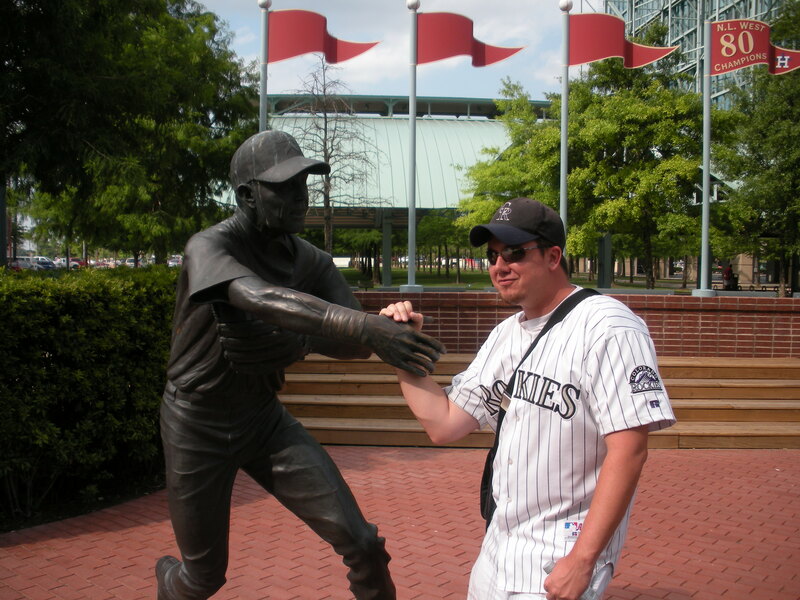 I did manage to get a picture with a weird looking statue of Biggio. 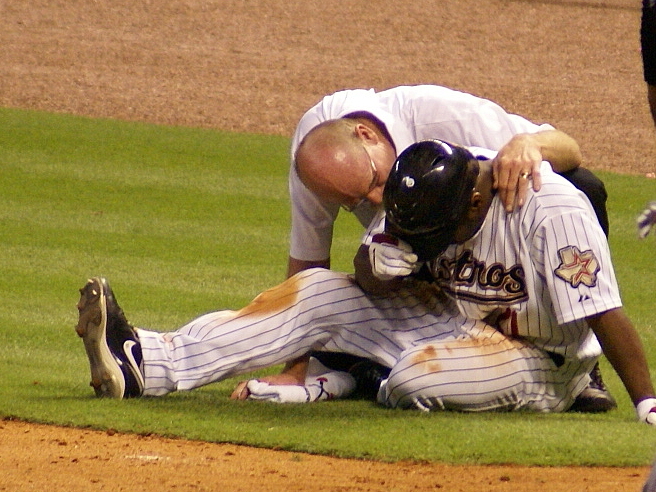 Or at least I think it was Biggio. They were intense looking statues but I had to offer a hand. 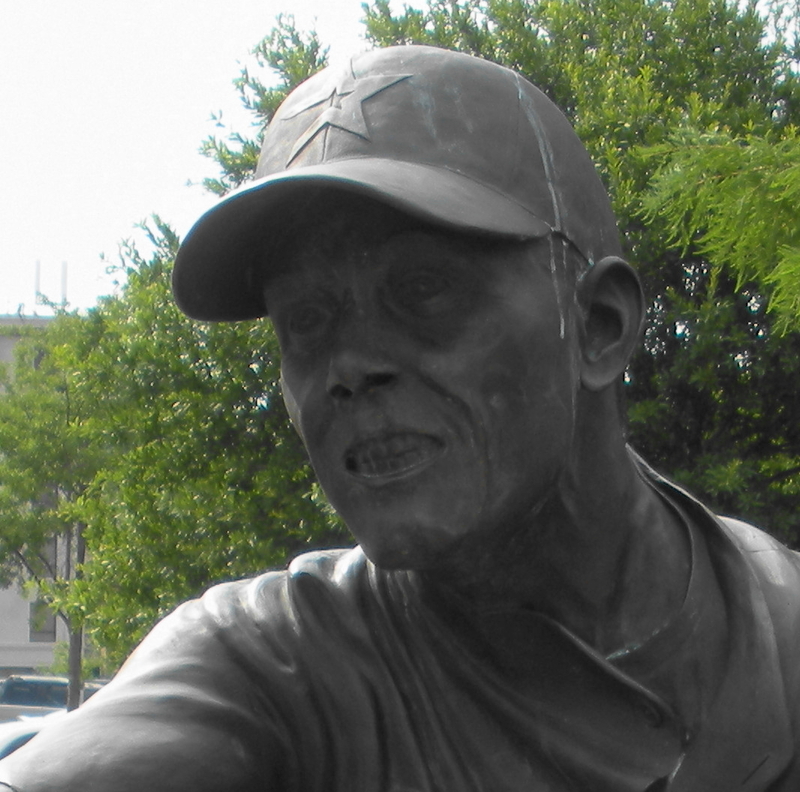 I’m sorry but this statue just looked scary. Reminded me of the faces in Indiana Jones the Lost Ark when they faces are melting off and they turn to skeletons. A really nice usher, Ozzy and I stopped to talk to, gave us all the info and maybe not publicized info about the park. I appreciated it and would not mention his name here because he may have said some info the management would not want out. Nothing serious, but most appreciated as a visiting fan on a low budget. 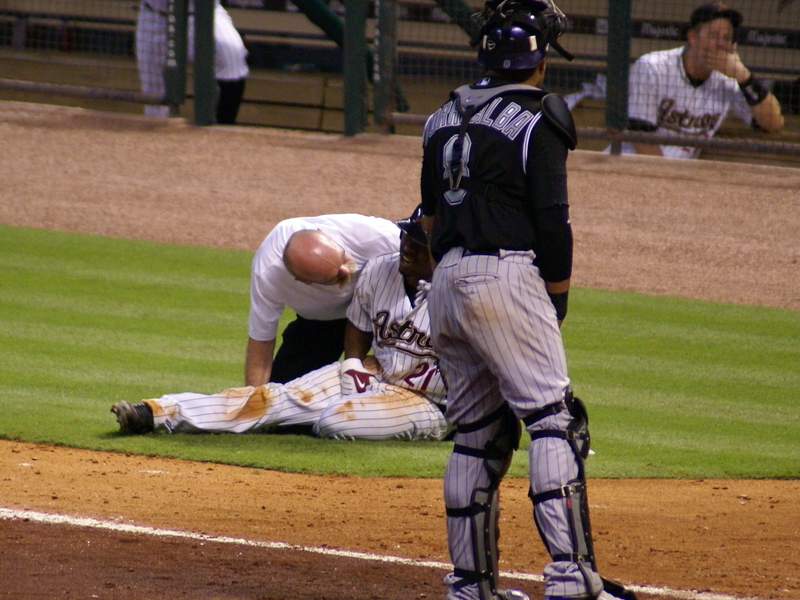 I had a good feeling for the outside of the park and I was ready to check out what Minute Maid had to offer. We had great seats for the game and extended the offer to hang out to Kylie. Any Rockies fan in enemy territory is automatically a Rocky Mountain Way favorite, except for one pretentious idiot who will go unnamed here, who thinks he must be a gift to the Rockies. I pointed him out to Kylie and she agreed his comments were not the coolest. Oh well there’s always one. I tried to get Todd Helton to sign my photo and would have been able to had an usher not come over and backed me up. Oh well, I pointed it out to him and told him there was a copy at Coors if he did not already have it. Don Baylor was cool enough to put his signature on the team ball. Space is running out, but the team ball is impressive at this point. 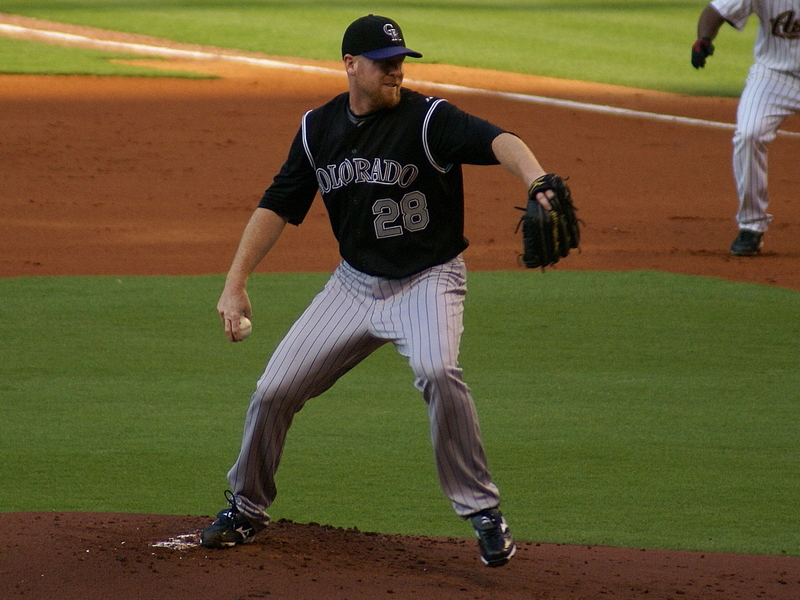 Cook was on the mound for the Rockies and didn’t pitch all that bad. Matter of fact he should have won the game. A few hits a few feet here or there and runs score. He pitched well and I was sad to see him get the loss. 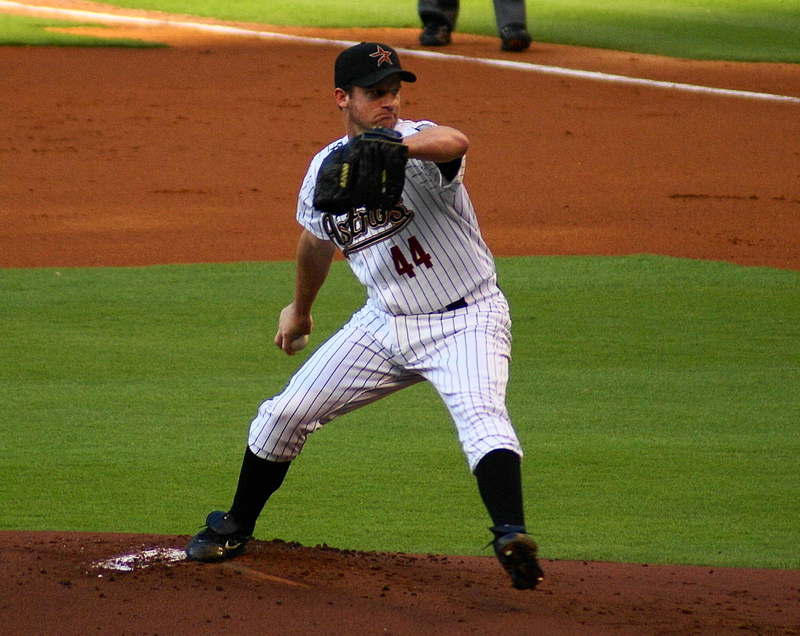 Oswalt was on the mound for the Stros and although he had seven strikeouts he put seven men on. I wouldn’t say he had his A-game but he did what he had to getting the win. 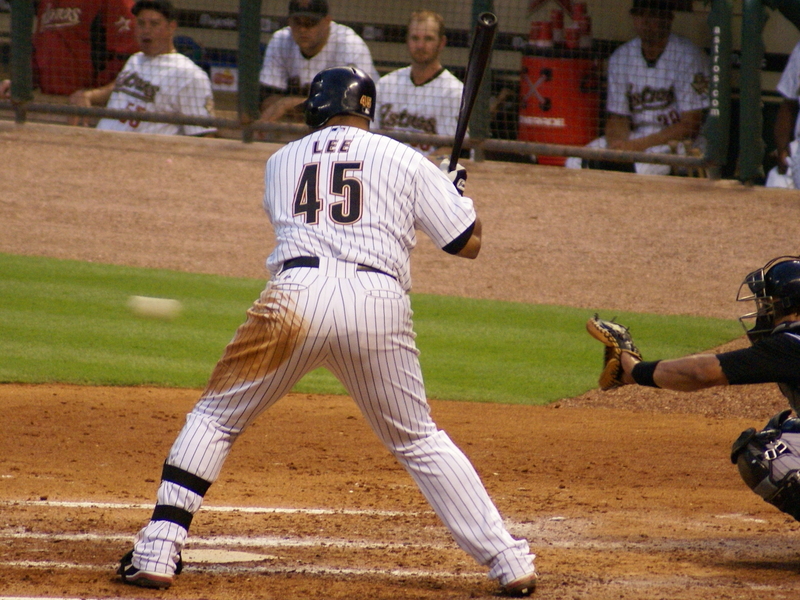 I’m beginning to not like Carlos Lee. El Cavallo hit a two run homer to up the score to 4-1. 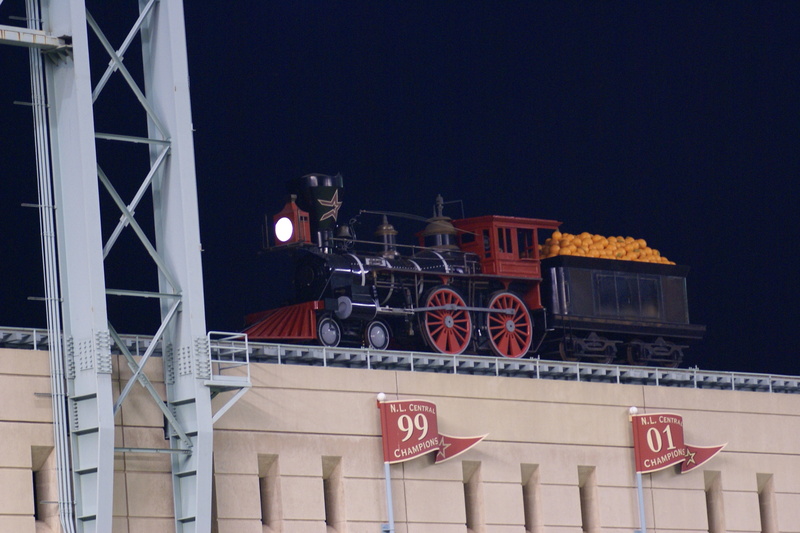 This train is supposed to make it’s way across the stadium after a homerun but it did not. Maybe with the recession they had to lay off the conductor or fuel prices are too high to get it across? I was ready to catch it moving, but it just stood there. The Rockies would make some poor defensive plays and strand too many runners on base. A familiar story and with a sad ending. As I sat up and readied myself to leave the stadium I turned back and looked down. 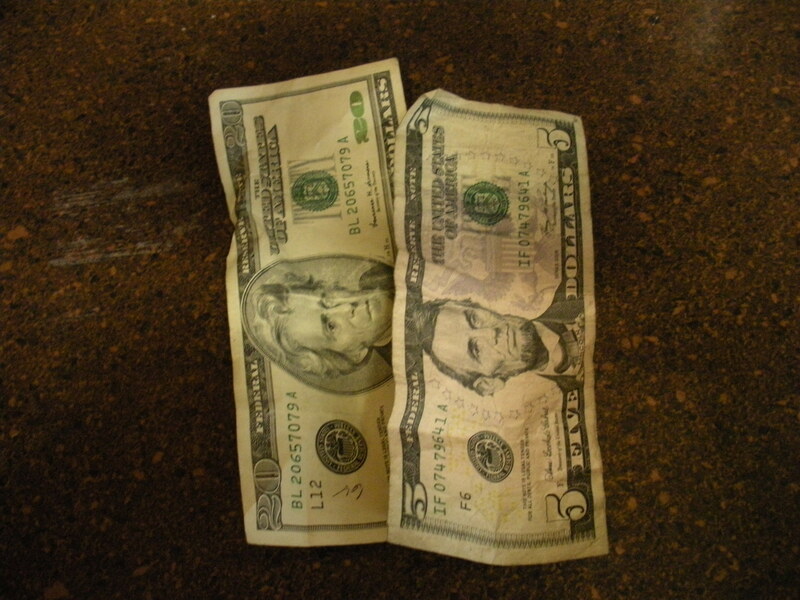 Some Astro fan had been nice to leave me $25 on the floor. Maybe they felt bad and wanted to refund any money I had spent. At least it was a free night at the ballpark. And if you wondered how it looked to take a ball to the nads..
Notice two players were holding the jewels? Common reaction from other men, sympathetic gesture to the hurt man. Headed out to game two. Go Rox! !